Please call us at 208.255.8458 or email us at info@sandpointretreat.com Let’s chat! Be sure to check out our unique attributes at the bottom of this page. TALUS ROCK RETREAT PROVIDES A SHOOT LOCATION FOR FACILITATING AN UNRIVALED LEVEL OF CREATIVITY AND FREEDOM OF EXPRESSION. Talus Rock Retreat offers an assortment of facilities from Tuscan nooks, East Indian crannies, and Parisian balconies to stunning mountain backdrops, sparkling ponds and waterfalls, and treelined fences and funky eclectic outbuildings, all within the same first-class location. Film and photos taken here result in breathtaking and stunning images oozing with character and interest. We can arrange for beating hearts of fur, feathers, hooves, tails, whiskers, tame or wild – available upon request. Not so easy to ‘catch’ but just as prevalent are geese, heron, osprey, Eagles, moose, deer, bear (caught one up a tree one day). 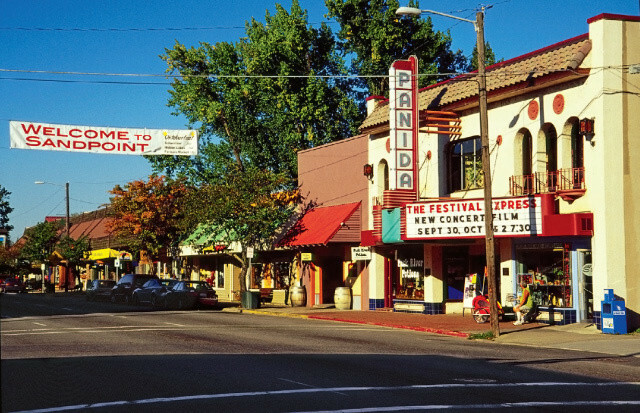 Use our knowledge of the area to assist in choosing other unique location / lodging accommodations within close proximity. Transportation to and from Spokane International Airport or even our own local Sandpoint Airport. USA Today recently named our beautiful nostalgic town “10 Picture Perfect Beautiful Towns”…and Talus Rock Retreat was named “The place to stay!” Norman Rockwell meets Ansel Adams in this picturesque small Northwest town. 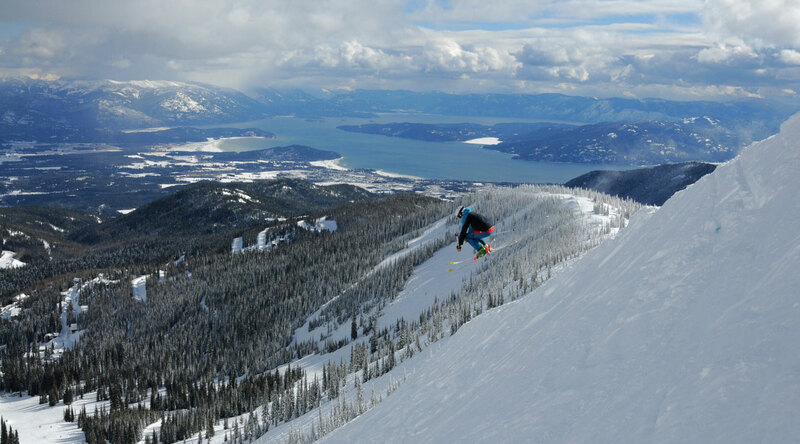 Ranked #1 in the nation for best tree skiing and Idaho’s best kept secret, Schweitzer Mountain is elevated at 6,400 ft and boasts 2 full-service lodges and 92 runs, 7 chairlifts and 2 quads. See all the way to Canada and Montana from the top! Lake Pend Oreille: Over 40 miles long and 1,000 feet deep, this “Pendant of the Ear” has record trout (up to 45 lbs!) and plays host to all lake activities to enhance any summertime shoot. 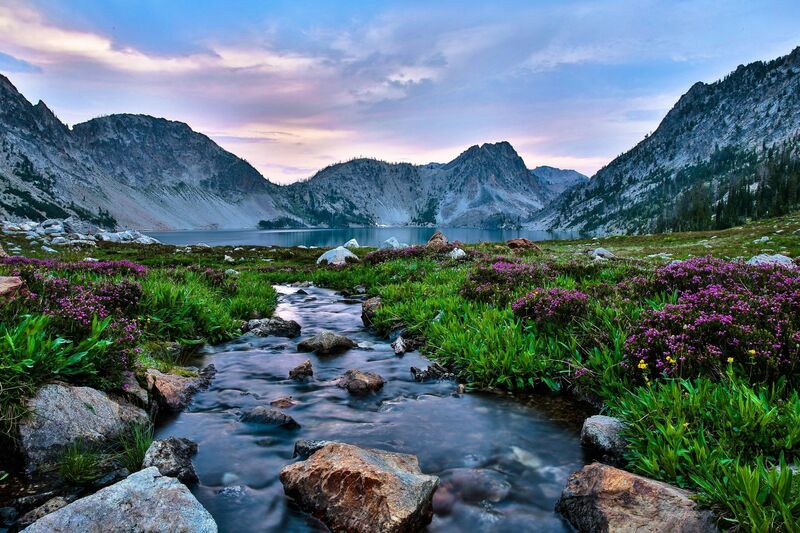 Find glacier lakes tucked within the easily accessible hiking trails. Surrounded by state and national forestlands in the Selkirk, Cabinet and Bitterroot mountain ranges, the Sandpoint area has countless roads and trails for hikers and mountain bikers. Listed below are five good hikes or rides on singletrack and jeep trails, but many more exist.